God bless the U.S. Postal Service. While more and more people are doing their bill paying and correspondence online, the USPS continues to try to find ways to create interest and desire/need for their products. Specifically with their collector series of stamps. My grandpa was a philatelist, or stamp collector. He used to work for the postal service for many years when he returned from the war, even retiring from the occupation. I can remember him sitting in his den, pouring over his extensive collection and being fascinated by the designs and little pictures. This year the USPS is coming out with another "Music Icons" series of stamps. The first of the series was of Lydia Mendoza, a famous Tex-Mex performer, known as the "Lark of the Border" in the 1930's. I have to admit, I'm not familiar at all with her or her music, although I may have heard it at some point when I lived in El Paso years ago. 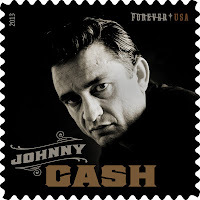 The new stamp that will be coming out in the series is Johnny Cash. (pictured above) It will be available later this year. There are two more in the series to follow, but I haven't heard a peep about who they will be. I guess the government can actually keep a secret. Do you still send much via the postal service? 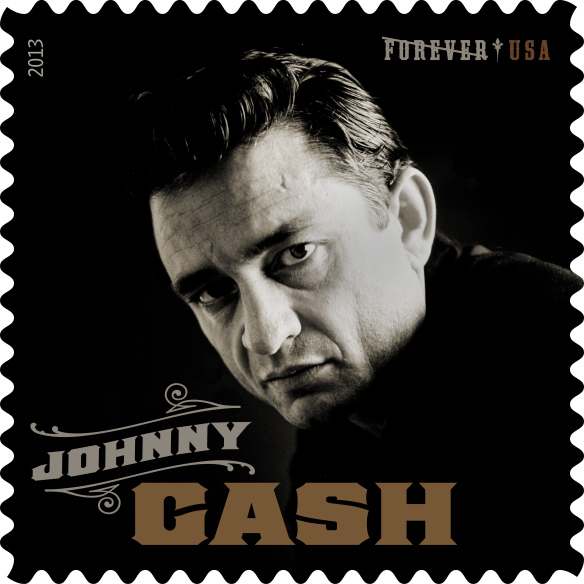 Will you buy the Johnny Cash stamp--to collect or use? Drop us an email!